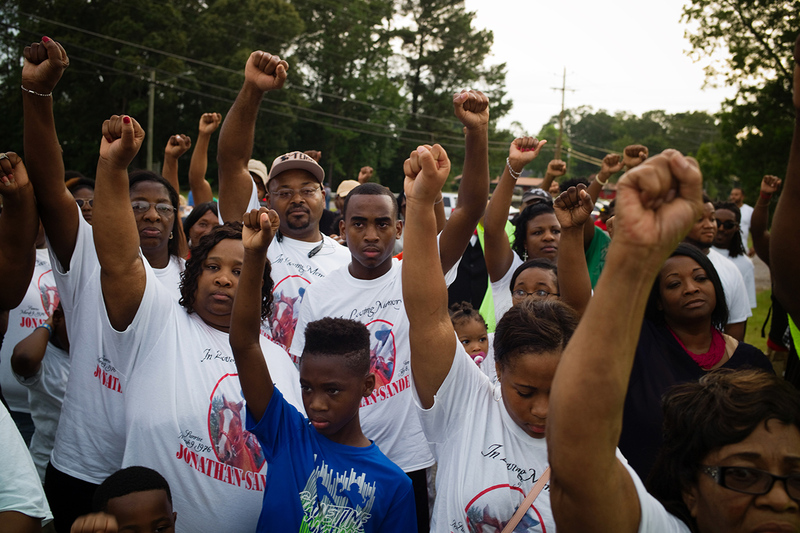 Jonathan Sanders, an unarmed black man, died after Officer Kevin Herrington, who is white, put him in a chokehold on July 8 in the small town of Stonewall, Mississippi. 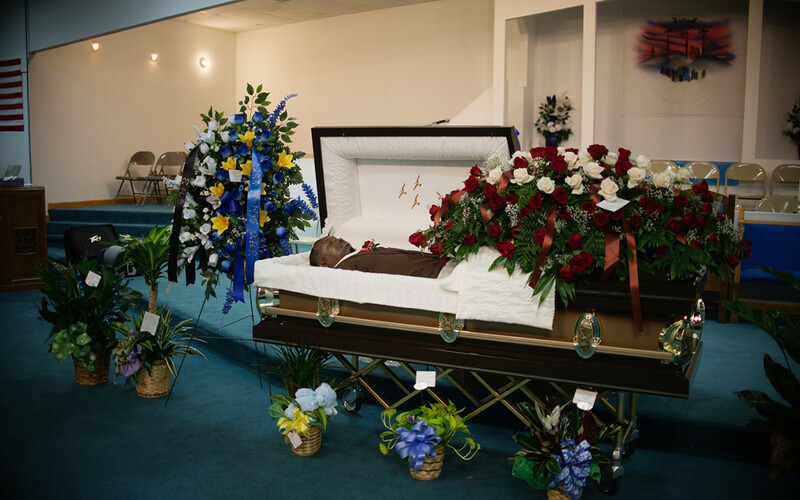 Mr. Sanders’ funeral, or “homegoing” as it is called in African-American tradition, drew nearly a thousand people. I spent two days on assignment for Reuters Analysis & Opinion writing and photographing the story. 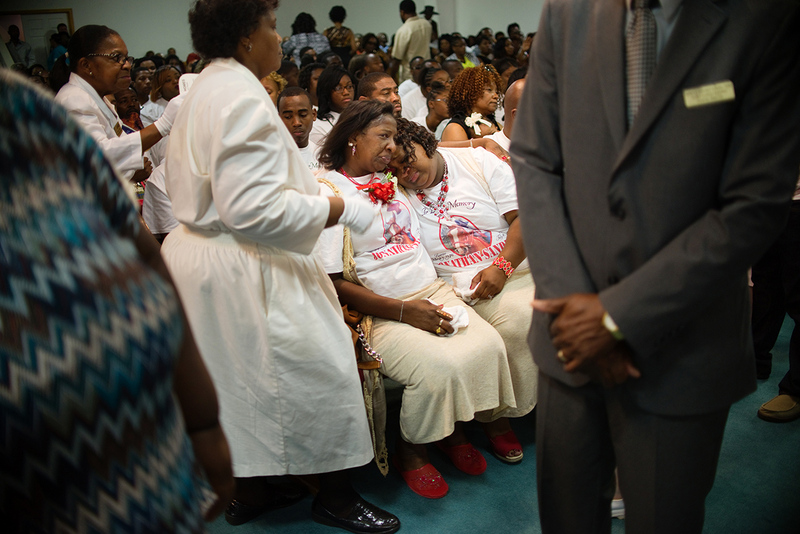 Frances Sanders, Mr. Sanders’ mother, and his sister Nicole Holloway in mourning. The service was held at the Family Life Center Church in the neighboring town of Quitman, Mississippi. July 18, 2015. 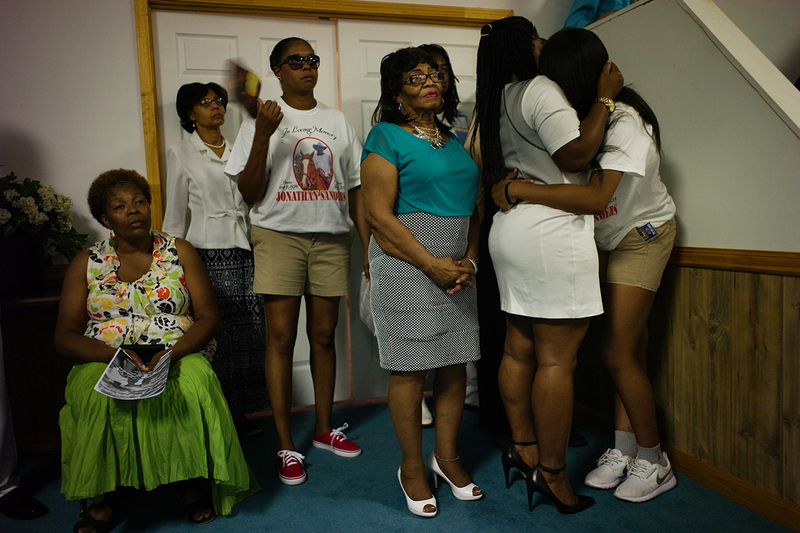 It was standing room only in the church and many wore T-shirts commemorating Mr. Sanders’ life and love of horses. He was a horse trainer and riding a horse-and-buggy when he was stopped by Officer Herrington. There were perhaps five white people in attendance. 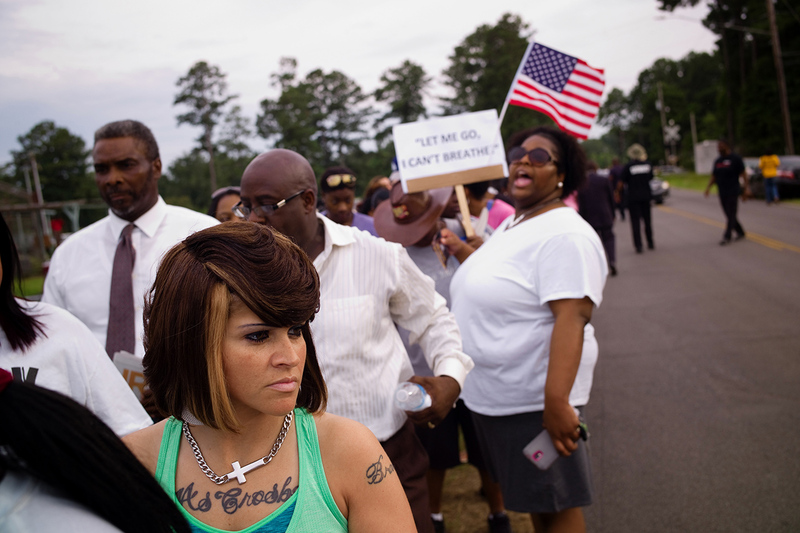 Stonewall and Clarke County are nearly 70% white. 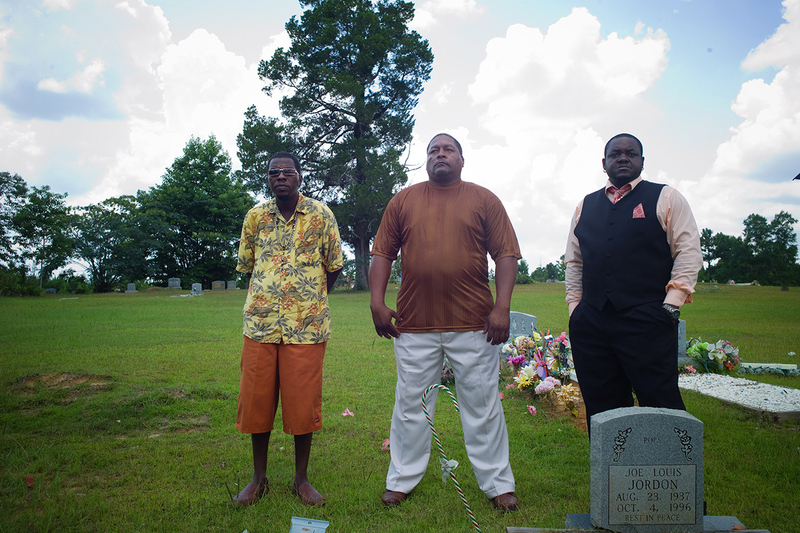 Jonathan Sanders, 39, was buried at the East Galilee Cemetery in Rose Hill, Mississippi. The funeral procession of over a hundred cars stretched for a mile along the highway. The next day, July 19, a Sunday afternoon, between 2o0 and 300 people rallied to protest his death. 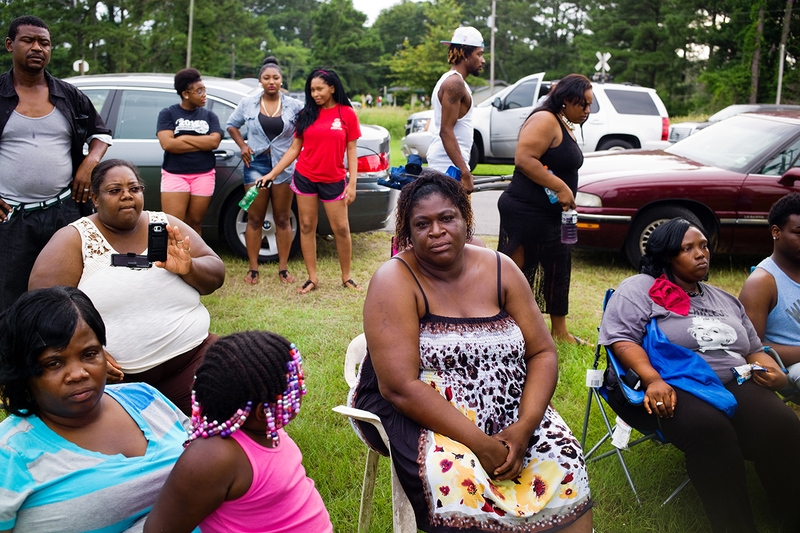 The demonstrators gathered at a baseball field near where the incident occurred and braved fire ants in the dirt and 95 degree heat to march a mile to and back from the police station. It was the third such gathering in two weeks.